Indian actors Sonu Sood, Amyra Dastur and Disha Patani are excited for the release of their Indo-China movie ‘Kung Fu Yoga’ featuring Jackie Chan. 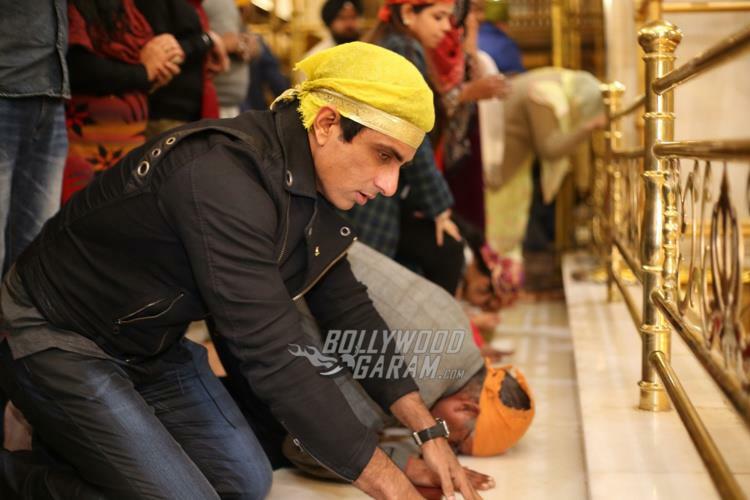 Sood and Amyra were snapped seeking blessings for the success of their upcoming movie at a Gurudwara in Delhi on January 31, 2017. Sonu looked dapper in a black jacket, t-shirt and denims while Amyra sported casuals. 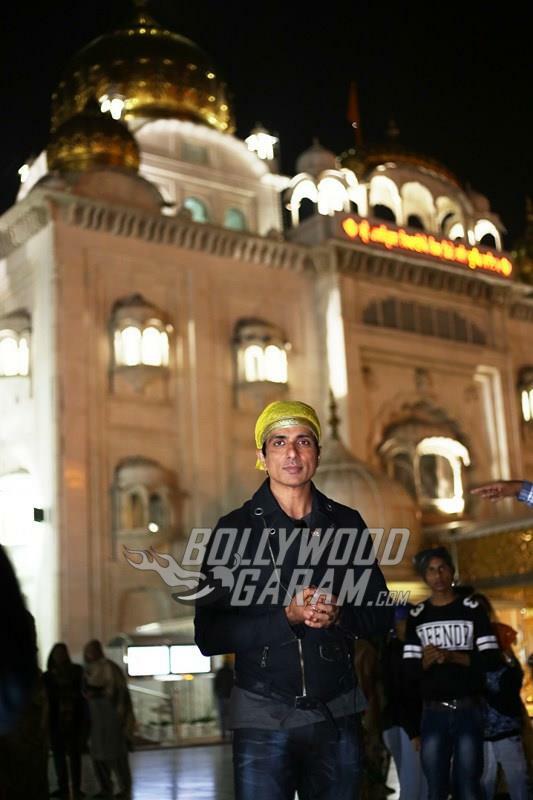 The actors spent some time at the holy place and were all smiles for the shutterbugs. Jackie Chan starrer ‘Kung Fu Yoga’ is directed by Stanley Tong and is all set to be released in India on February 3, 2017. The movie has already hit the theatres in China. Sonu Sood, Disha Patani and Amyra Dastur have joined the list of celebrities who have made a mark in International cinema. Actors like Amitabh Bachchan, Priyanka Chopra and Deepika Padukone have made a mark in Hollywood. International star Jackie Chan, will be seen playing the lead role of a renowned professor of archeology while Amyra will be seen playing the role of a young Indian professor Ashmita. Disha will be seen playing Ashmita’s assistant. Jackie Chan was recently awarded an honorary Oscar award for his contribution to cinema in Hollywood as well as all around the world. In his hometown of China, he is one of the most prominent personalities. In Bollywood as well, he was worked with former item girl Mallika Sherawat. As a Chinese citizen, he initially didn’t know any other language except his own. But he has learnt over the years, and is always willing to learn more about different cultures, even though he’s been such a veteran for a long time. Will you be watching Kung Fu Yoga?